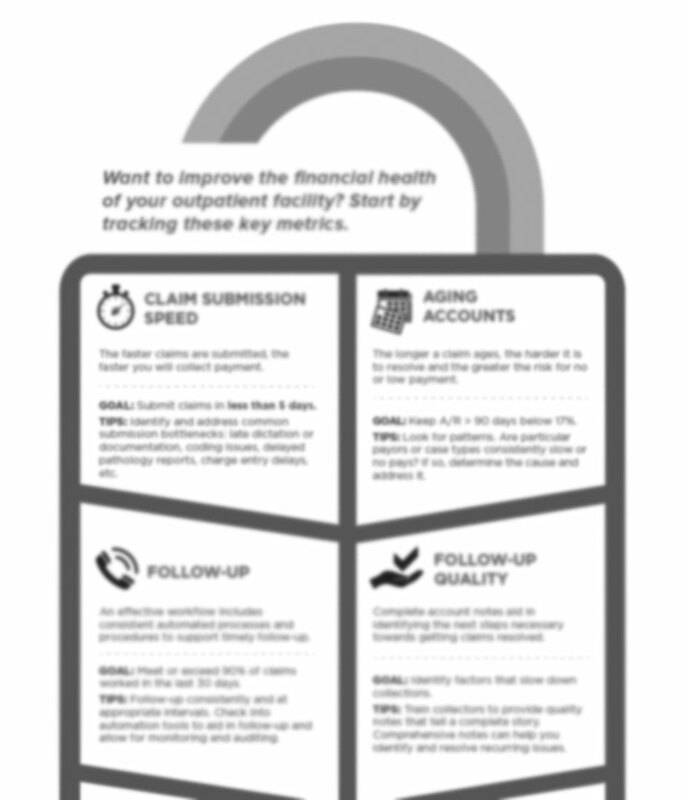 Looking to improve the financial health of your outpatient facility? Download this infographic to see how tracking six key metrics can optimize your revenue cycle process. This useful resource includes revenue cycle goals based on industry benchmarks, plus actionable tips on how to attain them. Complete the fields with your information for the link to download.